Whether you prefer to call them pancakes, flapjacks, griddle cakes, Hobo Nickels, or Flap Sams, this breakfast food is too good to pass up. Come to Lake Pleasant and make a day of it with the educational event to follow or to head out for the day of AYC racing. 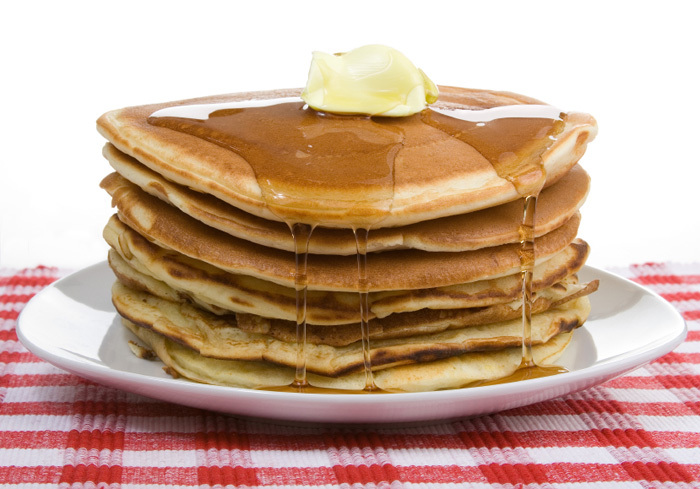 Pancakes and other breakfast attractions will be served starting at 8am on Saturday (April 6) and run to around 10am. You’ll find us at Ramada #1 and 2 closest to the Sailboat Shop. Cost is $5.00 for adults and $2.00 for children ages 4-12. Some important perspective on the morning: A pancake is a thin, flat, round cake prepared from a batter and cooked on a hot griddle or frying pan. In Britain it is made without a raising agent, and is similar to a crêpe. In America, a raising agent is used (typically baking powder). 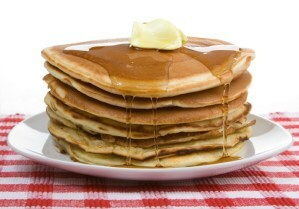 The American pancake is similar to a Scotch pancake or drop. They may be served at any time with a variety of toppings or fillings including jam, fruit, syrup, chocolate chips, or meat. In America, they are typically considered to be a breakfast food. In Britain and the Commonwealth, they are associated with Shrove Tuesday, commonly known as Pancake Day, when perishable ingredients had to be used up before the fasting period of Lent. Please join the finest batch of LPSC sailors around as we pay homage to the delectable pancake!